The 2018 World Cup might be over, but that doesn’t mean we can’t enjoy the data journalism that it inspired. Throughout the tournament, journalists used data to answer questions about odds during penalty shoot-outs, how well teams have been playing, and, of course, who will win. At The Economist they even looked at why these predictions will probably be wrong. To explore these questions further, we asked readers of our Conversations with Data newsletter to nominate their favourite projects. And they delivered! Based on their detailed responses, we collated a full roundup of data journalism that dissected, predicted, and queried the World Cup. 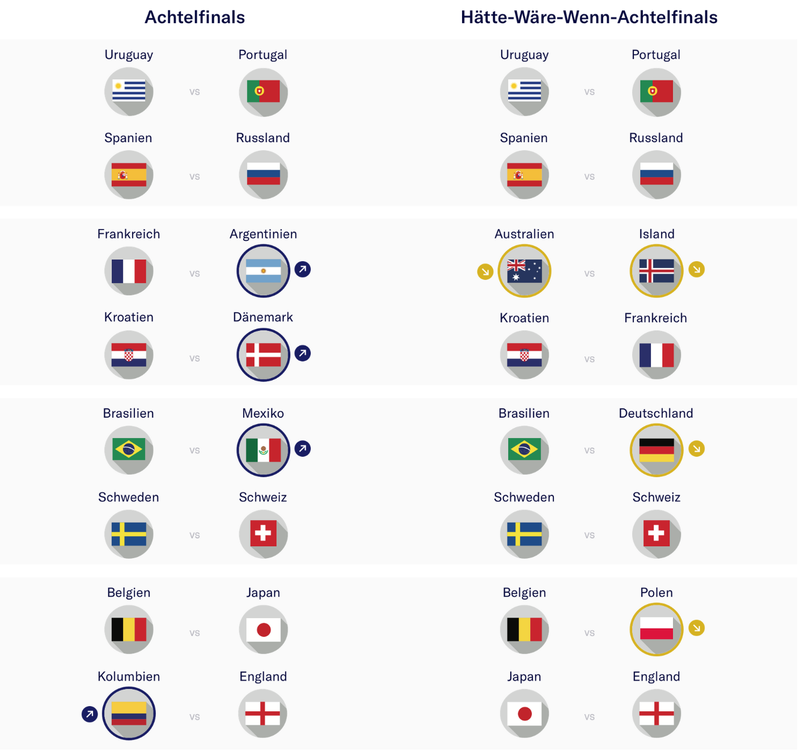 ‘We wanted to give our users a fresh, data driven perspective on the old drama each World Cup creates: Which teams go through to the knockout stage, which ones need to pack their bags and go home? Expected Goals provides a data point that allows us to measure how well each team should have fared, based on the chances they created and allowed. Here’s how we turned raw data into a DDJ-piece: We used an R script to process the raw data from Opta Sports, make the calculations we needed, and create an output file for each graphic we needed for the article. ‘As well as doing larger projects such as our World Cup forecasting game, we have produced a series of more specific data-led stories such as this one where we ranked each 23-man team by their total estimated transfer value. ‘Profound analyses of football matches often requires data that’s hard to obtain and a lot of domain knowledge in order to come to really meaningful conclusions. But there are also World Cup related stories that can be told with open data and without in-depth football knowledge. Our story on the history of football clubs and the world cup squads is such an example. 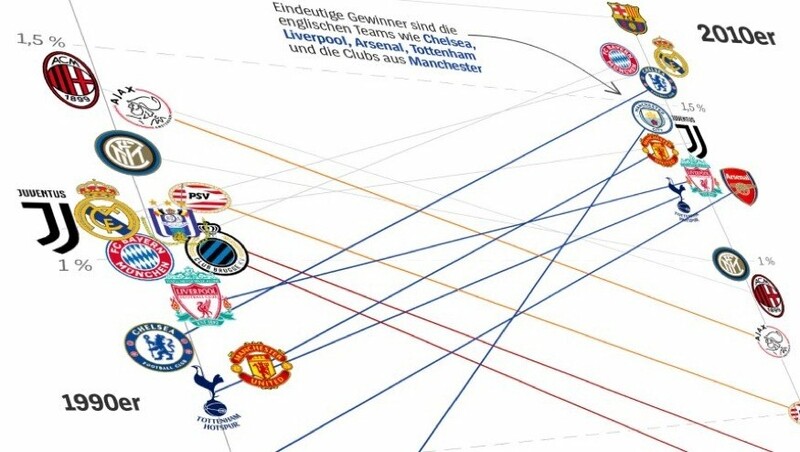 We analysed and visualised which clubs send most players to the World Cup, who dominated in which decade and how big the share of players from the big five European leagues as well as the share of players playing abroad are over time. All the data behind the story came from Wikipedia sites like this one. 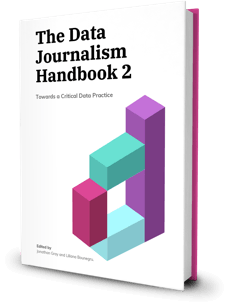 Data journalists did not require obscure data or in-depth football knowledge. Credit: Spiegel Online. ‘With the World Cup 2018 happening this summer in Russia, every soccer fan around the world is eager to make their prediction on what team will win this year. Another looming question for the fans is how their favourite national teams should line up: What formation should be used? Which players should be chosen? Which ones should be left on the bench or eliminated from the tournament? An enthusiastic soccer fan myself, I started thinking: Why shouldn’t I build my own dream formation for my favourite teams at the World Cup? As someone who loves data science and has grown up playing FIFA, it came to my realisation that I can use the data from EA Sport’s extremely popular FIFA18 video game released last year to do my analysis. ‘There is a lot of noise and narratives around the World Cup. Everyone has an opinion. Analysis of the data can either prove or refute these opinions, while at the same time providing a new perspective on something everyone knows so well. ‘One part of the World Cup that always interests me is that players transition from teammates on professional clubs to opponents on national squads. I pitched this idea to Reuters and they were interested in supporting it. 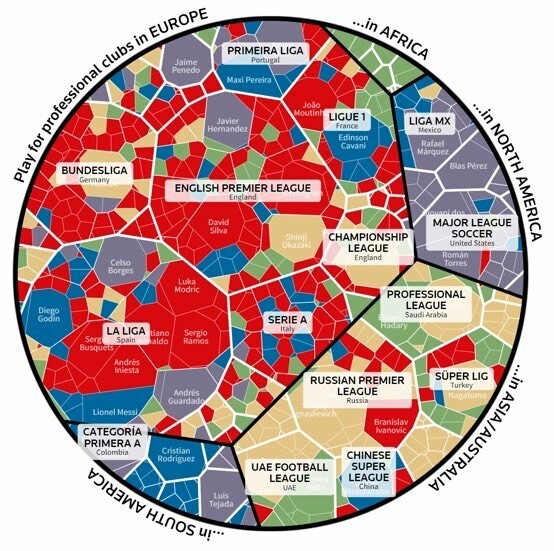 There may be simpler ways to show these overlaps, but using a Voronoi treemap creates a beautiful display and one that evokes the shapes on a football. ‘The first step was to put together an exhaustive compilation of all historical data from the World Cups. Since this resulted in a huge database, we used new narratives to showcase data that otherwise could have been difficult to analyse and understand. The outcome is an illustration of historical data behind all of the teams participating in the Russia World Cup, filtered by groups. Data was sourced from the FIFA Archives, The Rec.Sport.Soccer Statistics Foundation and Los Mundiales de Fútbol. Once all the data was gathered, I researched specific data that needed to be depicted in order to achieve the final structure. 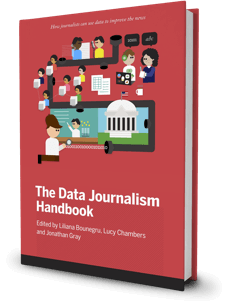 Build narratives to make data exciting and accessible. Credit: Mundo Deportivo. ‘There is a rather shallow notion the surfaces in the United States (my home country) that the World Cup features teams made just of national stereotypes. People joke about 11 stern Germans taking on 11 flashy Spaniards, or a speedy Senegalese team up against a group of tall Dutch players. But when you dig into the data on the origins of international soccer players, you find a lot of diversity in many countries, which I wanted to show to subvert that tired narrative. My initial idea was to make a map that connected every country that used a foreign-born player during qualifying for 2018 with that player’s place of birth. Ultimately, the map was too complicated and required too much space in the magazine. Instead I found a circular “chord diagram” featuring only the 32 teams in the 2018 World Cup focused the graphic effectively and could fit on one page. In the graphic, 32 nodes with 26 connections representing 97 foreign-born players had a compelling tangle of information but was not so aggressive that it was too much for a reader to untangle. With the circular approach, I also benefited from having room on the corners to provide additional pieces that fed into the main diagram. Although the superlative of the dataset, France (the origin of 35 qualifying players), is purposefully oriented to the top left of the graphic as a starting point, I hoped readers could enter the graphic from any angle because contextual information surrounds chord diagram. While these smaller pieces serve as keys for the main graphic, they are also meant to convey their own addition to the reader’s understanding of World Cup soccer. For example, the map describes the colours used in the diagram, but also teaches a reader about the regional qualification phase.